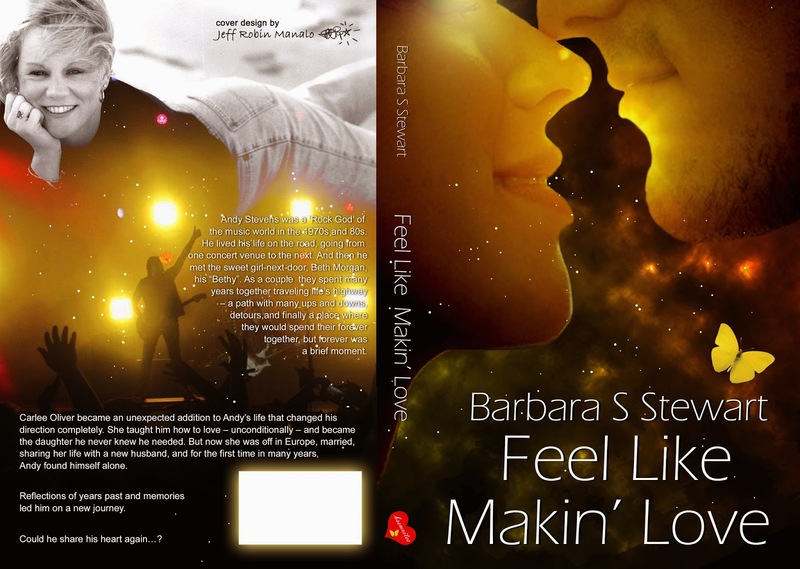 We love Barbara S Stewart and we are looking forward to the third book in her Rock & Roll Trilogy, Feel Like Makin' Love, which continues Andy's story. Check out this gorgeous cover. Andy Stevens was a ‘Rock God’ of the music world in the 1970s and 80s. He lived his life on the road, going from one concert venue to the next. And then he met the sweet girl-next-door, Beth Morgan, his “Bethy”. As a couple they spent many years together traveling life’s highway – a path with many ups and downs, detours, and finally a place where they would spend their forever together, but forever was a brief moment. Carlee Oliver became an unexpected addition to Andy’s life that changed his direction completely. She taught him how to love – unconditionally – and became the daughter he never knew he needed. But now she was off in Europe, married, sharing her life with a new husband, and for the first time in many years, Andy found himself alone. Reflections of years past and memories led him on a new journey. Could he share his heart again…?